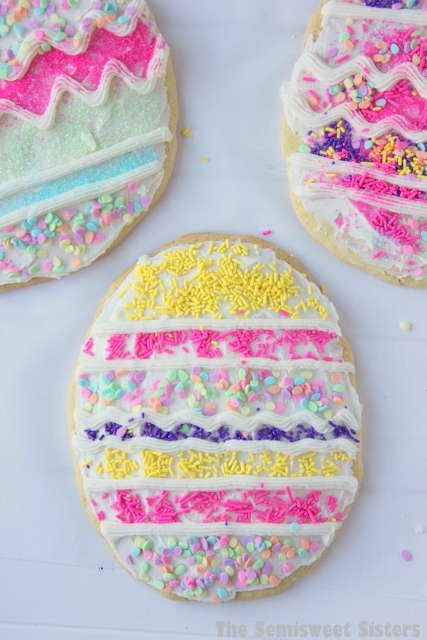 Giant XL Decorated Easter Egg Sugar Cookies! 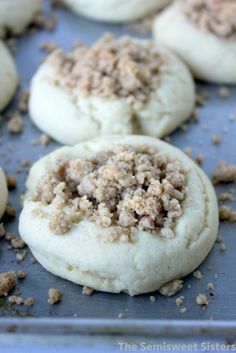 This recipe makes really soft cake like sugar cookies! 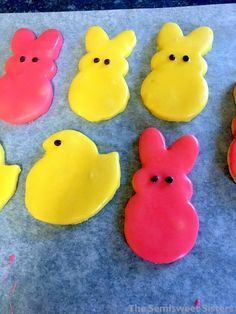 Makes 2-3 XL Easter Egg Sugar Cookies or 4 Large depending on how big you make them. 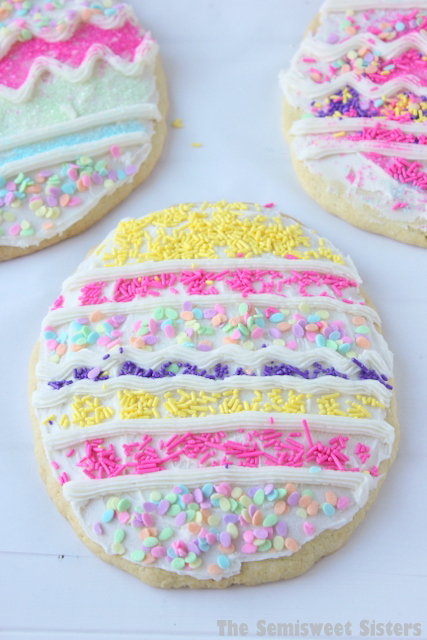 These Giant Easter Egg Cookies were easy to make too. I just hand mixed the sugar cookie dough. Divided it up. Placed a giant blob of it on a cookie sheet, used my hands to flatten it down into an egg shape about 1/4″ thick & baked it in the oven. If your making XL eggs then you can probably only fit one per cookie sheet. If your just making large ones you should be able to fit 2 per cookie sheet, just place them 2-3″ apart. I would make the eggs somewhere between 8×10″ and 6×8″ in size. 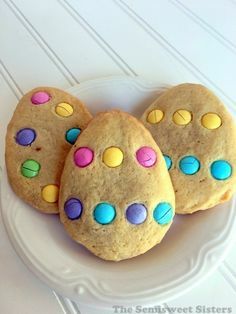 We used a Wilton #21 open star tip to make the lines across the eggs. 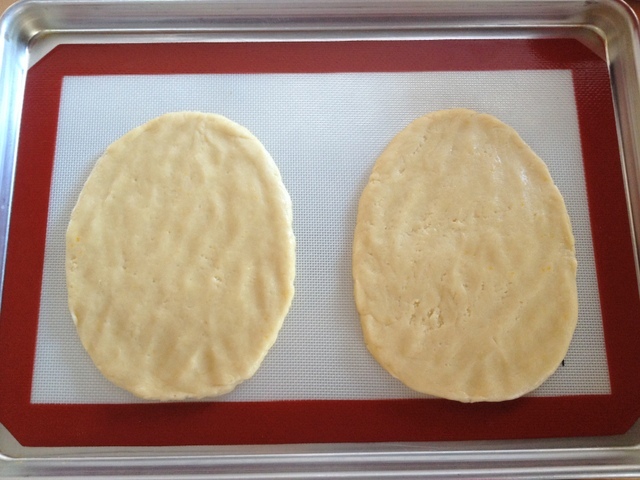 Preheat oven to 350 degrees F. Line cookie sheets with parchment paper or non-stick baking mat. In a large mixing bowl, combine sugar, sour cream, eggs, butter, & vanilla. Add flour, baking powder, & baking soda. Mix it up until a soft dough forms. 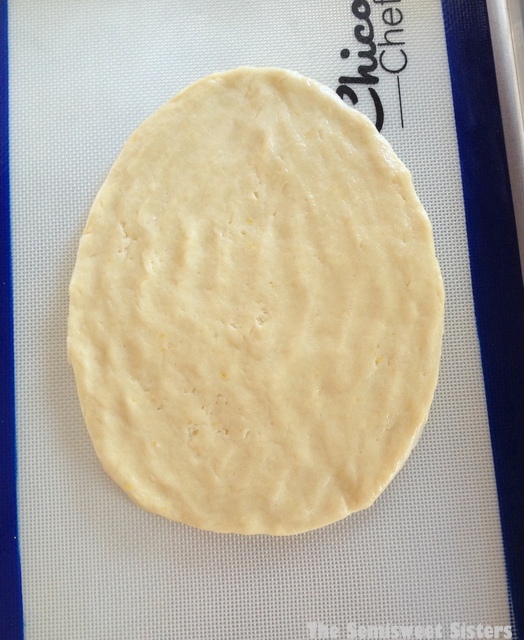 Divide dough into 2-4 parts (depending on how large of eggs your making). 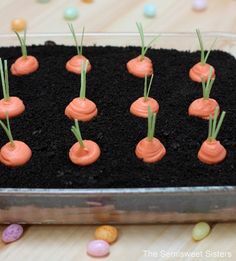 Place dough onto prepared cookie sheet & use your hands to press the dough out into an egg shape ¼" thick. 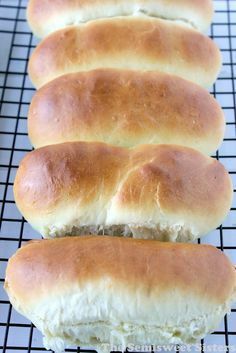 Bake for 12-15 minutes or until edges are golden brown & middle is set. Mix up frosting by combining all the ingredients in a mixing bowl & using an electric mixer to mix it until smooth. 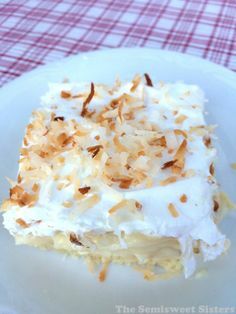 *(You may need to add a little more powdered sugar or milk to get the right consistency). 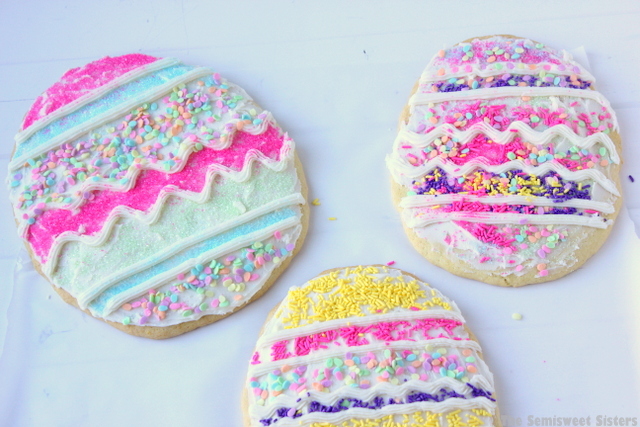 Frost & decorate eggs as desired. This is an awesome idea! I think I’ll be making some soon! These are so cute! And I am so with you–you can never have too many sprinkles! Love these!